select *, DATE_FORMAT(birthday, "%b %e, %Y") as _birthday, DATE_FORMAT(died, "%b %e, %Y") as _died, MONTH(birthday) as month_birth, DAY(birthday) as day_birth, DATE_FORMAT(birthday, "%b %e") as _birth_day_month from agatti_people where agatti_people.u_name = "ann-blyth"
Shares birthday with Mae Clarke, Glenn Strange, Julie Newmar see more.. Legendary actress, Ann Blyth, was born Ann Marie Blyth on Aug 16, 1928 in Mount Kisco, NY. As of December 2018, Ann Blyth was 90 years old. Ann Marie Blyth was born on August 16th, 1928 in Mount Kisco, New York. Shortly after her birth, her parents filed for divorce and Ann spent her time between her mother and father. Blyth's talent as a performer began to manifest early in life, showing an interest in show business in her most formative years. She began singing for the radio at the tender young age of five and began performing for San Carlo Opera Company productions of Carmen and La Boheme. During this time she also attended the Professional Children's School to further her knowledge of show business. In 1941 Blyth made her Broadway debut at just 12 years old in the Lillian Hellman drama Watch on the Rhine. The play was extremely success, playing at Martin Beck Theatre for over 375 performances. Blyth, herself, received great reviews from the critics and went on the nationwide tour of the show. Her very promising stage career was cut short thanks to a performance in Los Angeles. Impressed by the 14 years old talent and maturity, Universal Studios put Blyth under contract. During her first few films at Universal, Blyth made a name for herself with supporting roles in smaller budget pictures, such as her 1944 film debut Chip Off the Old Block. She continued with a string of B-films, including The Merry Monahans and Babes on Swing Street. Although her early career path lead her to the saccharine world of B-musicals, her next film would widen her opportunities immensely as an actress. 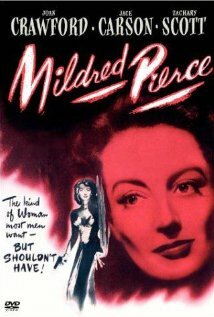 In 1945 Universal Studios loaned Baxter to Warner Brothers for the family driven noir Mildred Pierce. 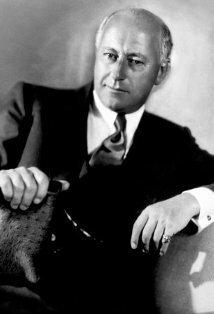 In the film Baxter plays Veda, the malicious, scheming daughter of the completely self-sacrificing Joan Crawford. The film was major success both at the box-office and in the trade papers. 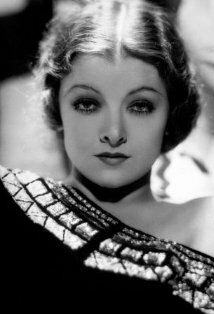 Money-wise, the film made over 5.5 million dollars at the box-office while critics praised the strong performances of both Crawford and Baxter, acting in her first drama in Hollywood. 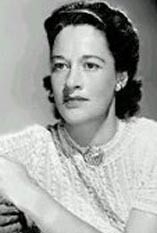 The film would go on to receive six Academy Awards, including a Best Supporting Actress nomination for Blyth and a Best Actress win for Crawford. 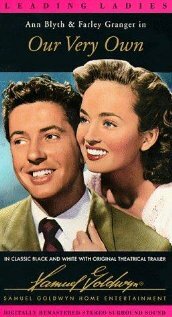 After Mildred Pierce it seemed like the young starlets career would take off. However, after the filming of Mildred Pierce Baxter broke her back, with doctors stating she may never walk again. Although the prognosis was wrong and Baxter did, indeed, relearn to walk, she was still out of commission for over a year, losing much of the momentum she had after Mildred Pierce. She returned to big screen in 1947 with a supporting role in the prison noir film Brute Force opposite Burt Lancaster. 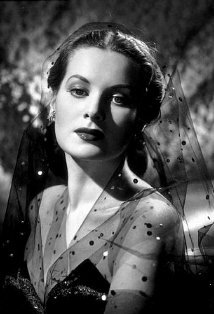 She then continued to play a series of serious roles such as Regina Hubbard in Another Part of the Forest; a prequel to the Lillian Hellman penned The Little Foxes. She followed that with the forgettable comedy Mr. Peabody and the Mermaid. 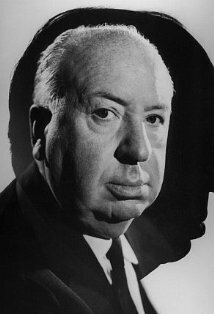 She continued to play in a series of comedies, such as Free for All, Katie Did It, and The Great Caruso before her contrast at Universal expired in 1952. She then went over to MGM studios, which quickly made use of dinging background. She appeared in the musicals Rose Marie, The Student Prince, and Kismet. 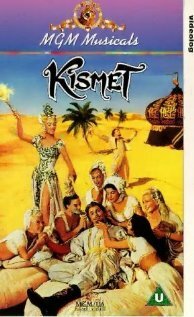 However, by the mid-1950s the popularity of the musical as a genre had dropped but MGM still utilized Baxter with films like The King's Thief and Slander. 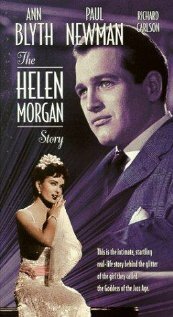 She starred in her last film for the studios, The Helen Morgan Story, in 1957. The film was major and soon after Baxter left the studios. After leaving MGM, Baxter concentrated on stage and TV work. She began appearing on a myriad of television series such as The DuPont Show with June Allyson, The Pick Powell Theatre, and The Christopher. By the 1970s Baxter began to slow down her career in favor of home life. Her final television appearance was as a guest role on the popular series Murder She Wrote. She currently lives a life of comfortable retirement in Toluca Lake in California. Although Blyth was nominated for one Oscar, she never won a competitive Academy Award. Veda: You think just because you made a little money you can get a new hairdo and some expensive clothes and turn yourself into a lady. But you can't, because you'll never be anything but a common frump whose father lived over a grocery store and whose mother took in washing. Jonathan Clark: We *shall* be married! Countess Marina Selanova: After the hanging? Or before? Veda: [kissing check] Well, that's that! Mildred: I'm sorry this had to happen; sorry for the boy, he seemed very nice. Veda: Oh Ted's all right really. Did you see the look on his face when we told him he was going to be a father? Mildred: I wish you wouldn't joke about it. Veda: Mother, you're a scream, really you are. The next thing I know you'll be knitting little garments. Mildred: I don't see anything so ridiculous about that. Veda: If I were you, I'd save myself the trouble. She is a donator of The Republican National Committee, The March of Dimes, The American Bible Society, The American Red Cross, Catholic Charities, and Salesian Missions. Once geared towards an operatic career studying with the San Carlo Opera Company. Blyth caused jaws to drop and eyebrows to raise at the 1954 Oscar broadcast when she sang Doris Day's nominated (and eventual winning) song "Secret Love" from the movie Calamity Jane (1953) while seven months pregnant.